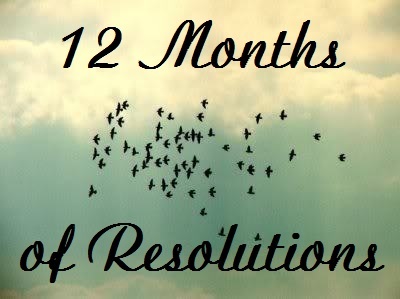 Each month I'm doing a different resolution every month in the hopes that my resolutions will stick! See previous months here. For June, I resolved to say no to shopping. And I did it successfully! And it was easier than I thought. WOULD I DO THIS AGAIN? NO! Well, not for a whole year, but a month every now and again wouldn't hurt the pocketbook. I would like to challenge myself and not spend any money for a month (minus bills, groceries, & valid necessities). NOTES: Luckily, I've had practice with not shopping before when I was unemployed last year. But this time, I gave up shopping by choice. I admit, I did get a new shirt or two, courtesy of my parents. However, I did not buy a single clothing item or beauty product, minus necessities (like shampoo). For July, I'm going to stop cursing. I definitely don't have a potty mouth or make sailors blush, but I would like to stop. We'll see how it goes! Would you give up shopping for a whole month? For those who have, was it difficult? PS--Beach Week is next week!!! Anything specific you'd like to see? I've got tons of fun posts planned. Cheeriodicals is my latest GIVEAWAY! Enter today! Shopping is not a biggie for me, but eating out is! One of these days I will challenge myself not to eat out for an entire month and see how well I fare! I can't believe you stuck to this resolution! kudos to you! Good job with those Elle! this is a great idea! A month at a time is a good way to get yourself into a new habit! Very smart! Good luck! Can you curse when you are alone? Because driving (and cursing at bad drivers under my breath) would be the hardest for me! That is awesome! I've done it a few times and it's hard, but you feel accomplished and it's nice to finally see what's out there after a month of refraining.